Let go the stress of daily life and find a space to relax at Eagles Eye View Cottages. Outdoor fire pits, private hot tubs, and a beautiful view await you when you stay with us. 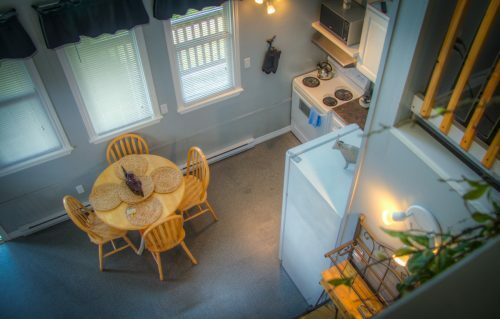 Our cottages overlooking the magnificent Saint John River can accommodate guests year-round! Spread out over 15 acres of land, with lots of open field for children and families to enjoy – bring your sports balls and kites! We provide a volley-ball net, ring toss, and horse shoes. 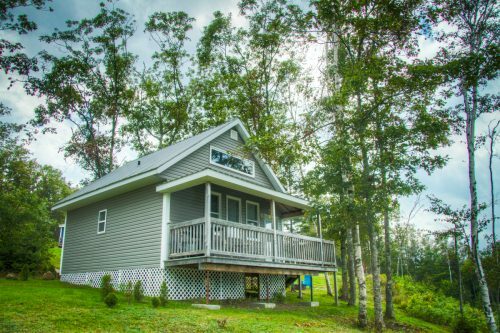 All cottages are fully equipped with the every-day essentials needed, including items in the kitchen, including a standard coffee machine, as well as a Keurig machine. We also have on site coin-operated laundry in its separate building for all guests to use. Discover our cottages & book your stay with us online, or by calling 506-763-3625!